Paperback, 7 x 9.5 in. / 320 pgs / 160 color. 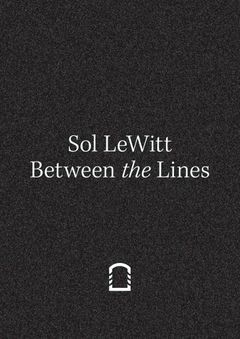 Looking at a considerable range of works spanning the entire career of Sol LeWitt (1928–2007)—from seven of his famous Wall Drawings to sculptures such as Complex Form and Inverted Spiraling Tower, and including the photo-series Autobiography—this book explores the deeply intertwined relationship between LeWitt's work and architecture. 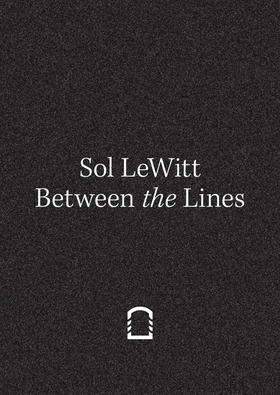 Featuring a collaboration by the architect Rem Koolhaas—as a curator, for the first time ever—in dialogue with the curator Francesco Stocchi, Between the Lines addresses broad aspects of LeWitt's oeuvre, with the aim of moving beyond the divisions that traditionally separate architecture from art history (the flouting of which characterizes the artist's entire body of work). In particular, this book reformulates the still-popular assumption that an artwork must adapt to the architecture. FORMAT: Pbk, 7 x 9.5 in. / 320 pgs / 160 color.